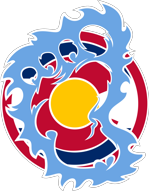 Colorado Elite Hockey is proud to announce that U8 Yeti Hockey is back for the 2016-2017 season! Returning for the third season, our U8s are ready to begin learning the game the way it was meant to be played. Players will trained at an elite level, learn the basic concepts of the game and build on the skills they receive in Mite Hockey. Tryouts will be at 7:30am on Saturday November 5th at the YMCA of Boulder Valley Ice Rink. Registration will open on October 10th.